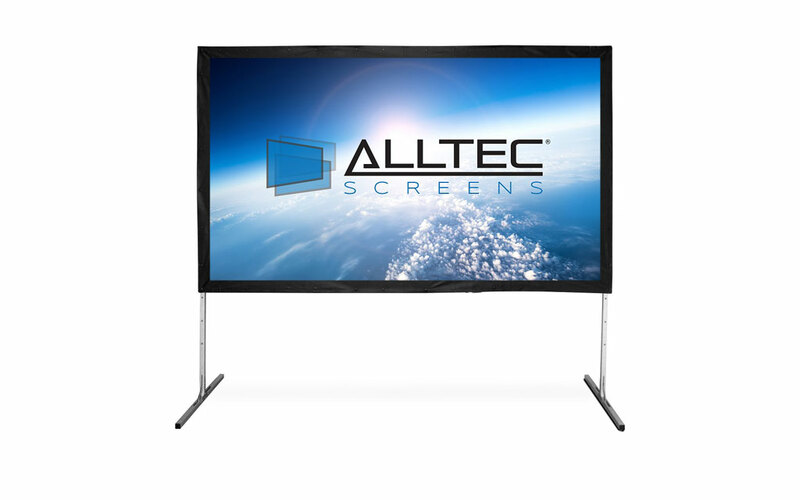 The Alltec Screens Folding Frame portable projection screen is specifically designed for large venue events, delivering larger-than-life presentations anytime and anywhere! The Folding Frame projection screen is ideal for large venues like trade shows, auditoriums, stages and even outdoors. The Alltec Screens Folding Frame projector screen is quick to set up and take down, assembling in just a few minutes without any tools(depending on the size). The Alltec Folding Frame utilizes a heavy-duty Aluminum frame design with folding hinges that latch together like an erector set and the fabric snaps onto the frame. 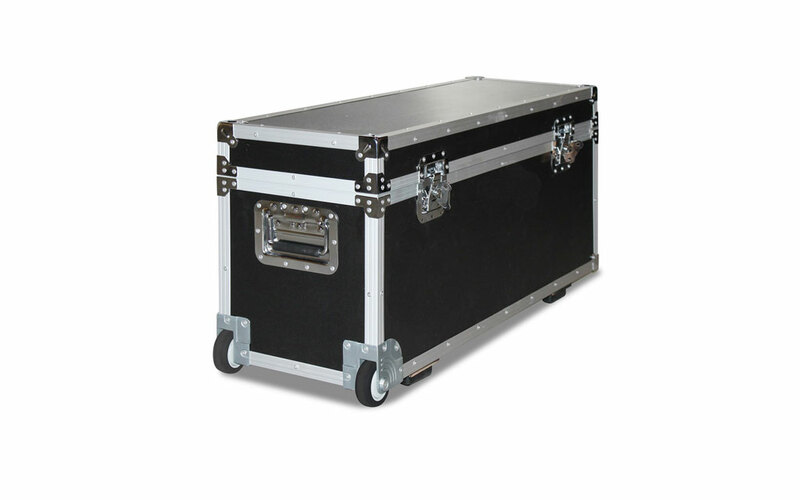 The entire screen (frame and fabric) is neatly stored in a durable, wheeled carry case that can be easily transported in most vehicles or by plane. 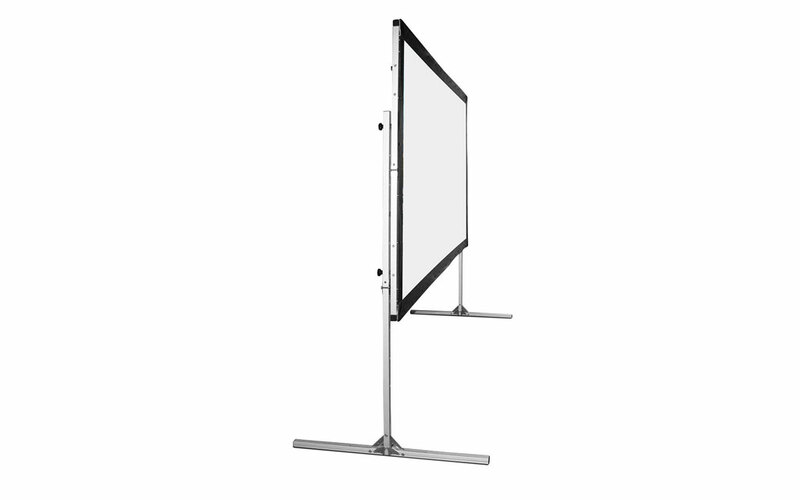 The Alltec Folding Frame projector screen utilizes a heavy-duty Aluminum frame design with folding hinges and easy locking joints. Simple push buttons allow for easy height adjustment of the entire screen surface for larger applications, where additional height is needed. If being used outdoors, we recommend adequate additional restraints and weighting to be added to the base frame, with usage only during ideal non-windy weather conditions.